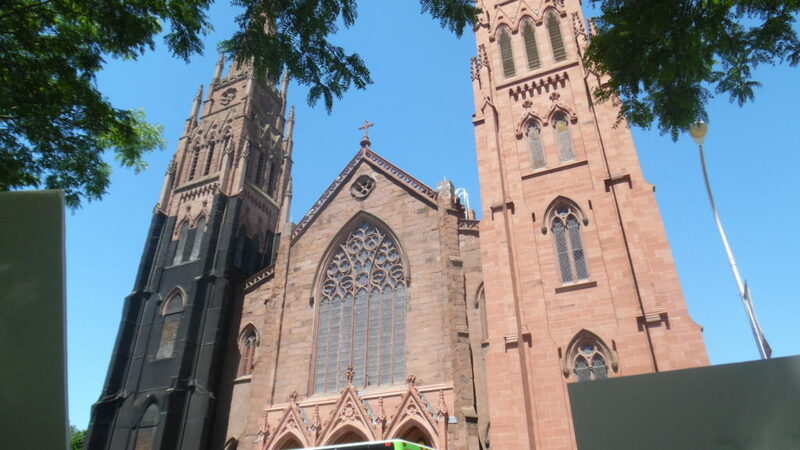 Last weekend, June 18, I joined the Call To Action witness at the Cathedral in Albany, NY. 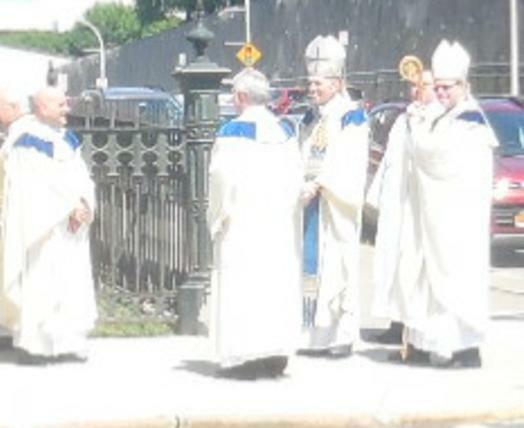 That morning four men were ordained for the Albany Diocese. 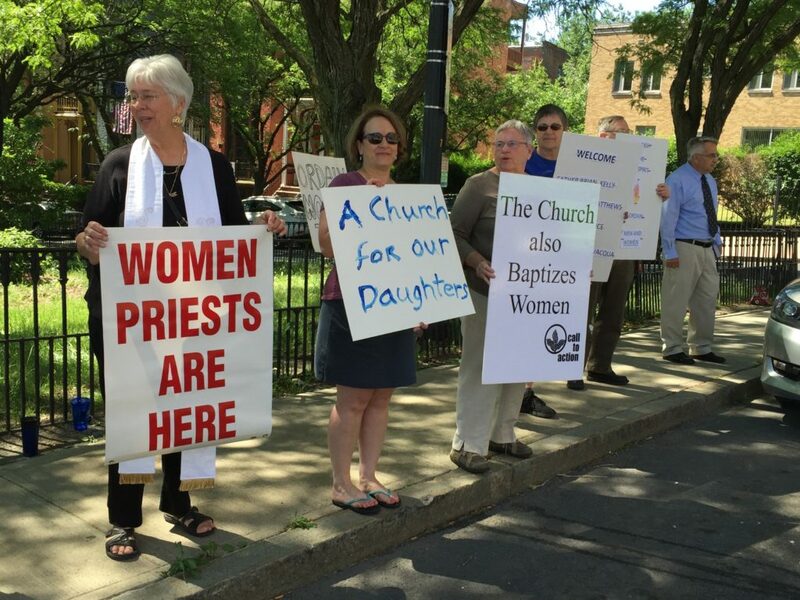 During the witness, I held a sign that proclaimed: “Women Priests Are Here!” Some of you may wonder why Roman Catholic women are seeking ordination through the Roman Catholic Women Priests movement. Hopefully the points below will help to answer your questions. I am happy to meet and discuss them with you or with a group who is interested in learning more about us. The best way to contact me is through email at mtstreck@gmail.com. What do you think about Pope Francis and the new commission for ordination of women deacons? We are grateful for Pope Francis’ work to protect mother earth and his care for the poor, for economic equality. However, he must make the connection between poverty and gender justice. Two thirds of the world’s poor are women and their dependent children. He has received our ongoing petition campaign to lift our excommunications, stop all punishments and begin a dialogue with us. We are a new model of priestly ministry in inclusive, egalitarian communities (open table means everyone is welcome at the table, LGBTQI, divorced and remarried , etc.). In our faith communities, everyone consecrates Eucharist, participates in mutual blessing and dialogue homilies. We are a renewal, justice movement within the Catholic Church. 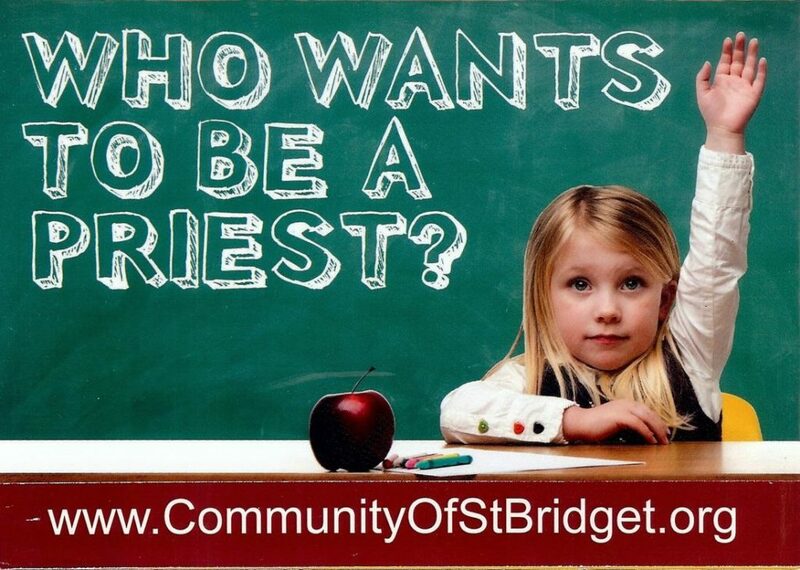 We are serving inclusive Catholic communities where all are welcome to receive sacraments. 33 million Catholics in the U.S. have left the church, so it is a large group of people! Our mission is to serve especially those whom the Vatican marginalizes (33 million Catholics have left the church -that is quite a “target group” that has been abandoned by the institution). This is our church and we are not leaving it, no matter what the Vatican says or does (the Vatican’s official line is that our excommunication is the automatic type: by your choice, you have excommunicated yourself). Why are you being ordained and what impact will your ordination have on the future of women in the RC Church? 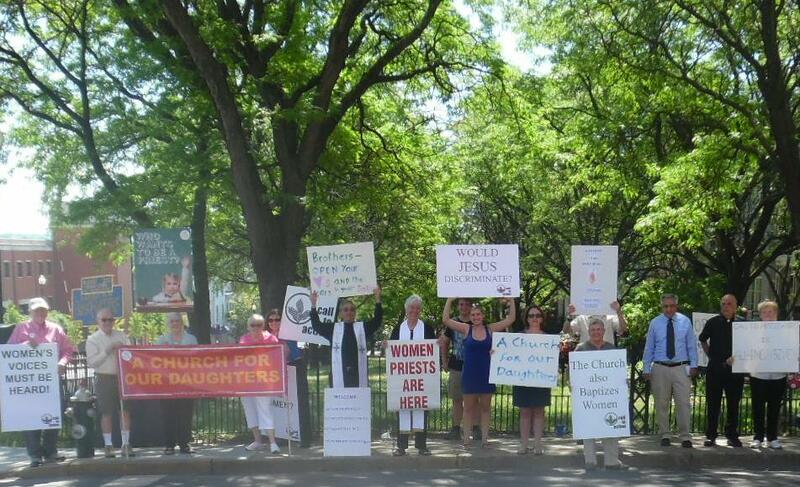 The Church that treats women as second-class citizens violates God’s will. Genesis 1:27: God created humanity in God’s image, in the divine image, God created them, male and female God created them. Galatians 3:27. St. Paul reminds us that by our baptism there is neither male nor female, all are one in Christ. Are your orders recognized in the Catholic Church? Why don’t you get ordained in another church, rather than face excommunication and rejection? Pope Benedict canonized two excommunicated nuns: Theodore Guerin and Mary McKillop. 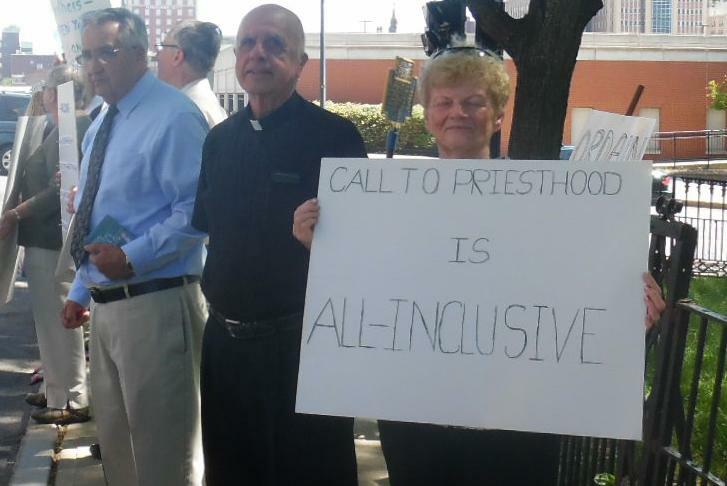 The hierarchy must make the connection between discrimination against women in the church and violence, and abuse and inequality toward women in the world. Like these courageous women we are faithful Catholics leading the church to become more just and live Jesus’ example of Gospel equality. Why are you being ordained as deacons, priests and bishops? What does this mean? The Risen Christ called Mary of Magdala to be the apostle to the apostles. She was the first to proclaim the central message of Christianity, the Resurrection. The Vatican (hierarchy) should follow Jesus’ example of Gospel equality and the early church’s tradition of women in liturgical leadership as deacons, priests and bishops. For 1200 years women were ordained (Gary Macy, The Hidden History of Women’s Ordination, Dorothy Irvin’s archaeological evidence etc.). In the early centuries of Christianity, ordination was the process and the ceremony by which one moved to any new ministry (ordo) in the community. By this definition, women were in fact ordained into several ministries. A radical change in the definition of ordination during the eleventh and twelfth centuries not only removed women from the ordained ministry, but also attempted to eradicate any memory of women’s ordination in the past.  However, the triumph of a new definition of ordination as the bestowal of power, particularly the power to confect the Eucharist, so thoroughly dominated western thought and practice by the thirteenth century that the earlier concept of ordination was almost completely erased. References to the ordination of women exist in papal, episcopal, and theological documents of the time, and the rites for these ordinations have survived. The Vatican and Google have created a virtual tour of catacombs including two frescoes in St. Priscilla’s catacomb that provide evidence of ancient women deacons and priests in first centuries of church history. One fresco depicts a woman deacon in the center vested in a dalmatic, her arms raised in the orans position for public worship. In the same scene there is a bishop being ordained a priest by a bishop seated in a chair. She is vested in an alb, chasuble and amice, and holding a gospel scroll. The third woman in the painting is wearing the same robe as the bishop on the left and is sitting in the same type of chair. In another fresco in the Catacombs of Priscilla, women are conducting a Eucharistic banquet. This evidence portrays women in liturgical roles and vestments. Why are you doing this, what are your goals? Roman Catholic Women Priests are a holy shakeup which millions of Catholics support. 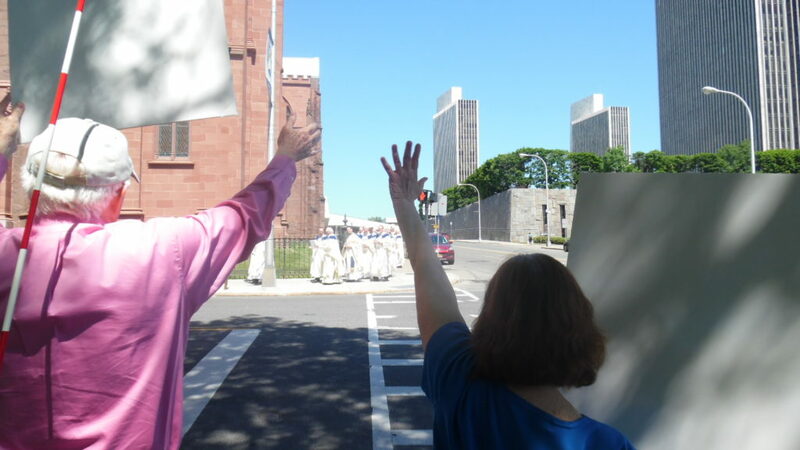 Call to Action members and other Capital Region residents stood silently across from the Cathedral of the Immaculate Conception as priests of the diocese, Bishop Emeritus Howard Hubbard and Bishop Edward Scharfenberger entered to ordain four young men to the priesthood, Saturday, June 18th. Witness signs are visible in lower right and left corners. 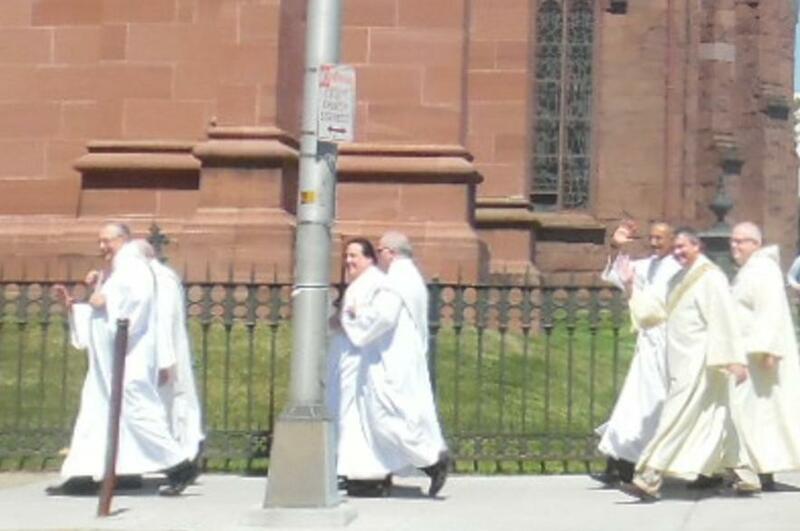 The priests entering the cathedral saw our signs. They seemed happy to see us. Some even waved. And we waved back. 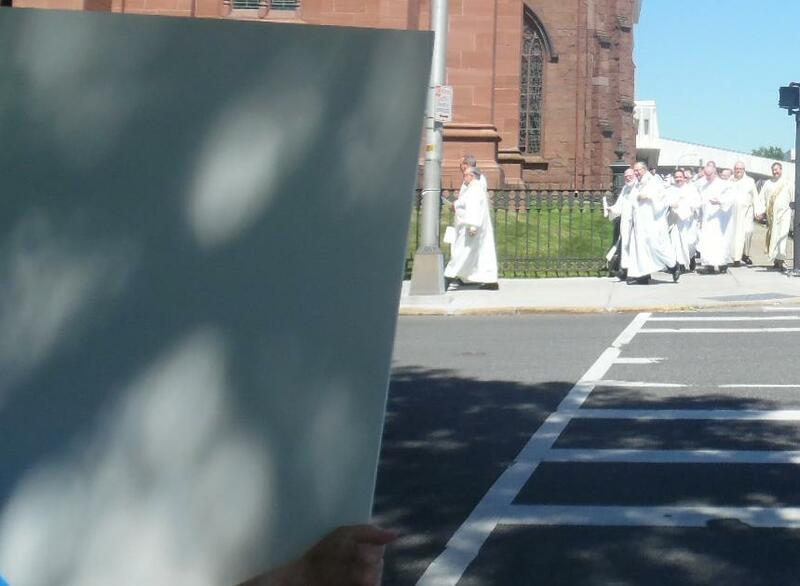 Even Bishop Scharfenberger took a look at us and our signs. 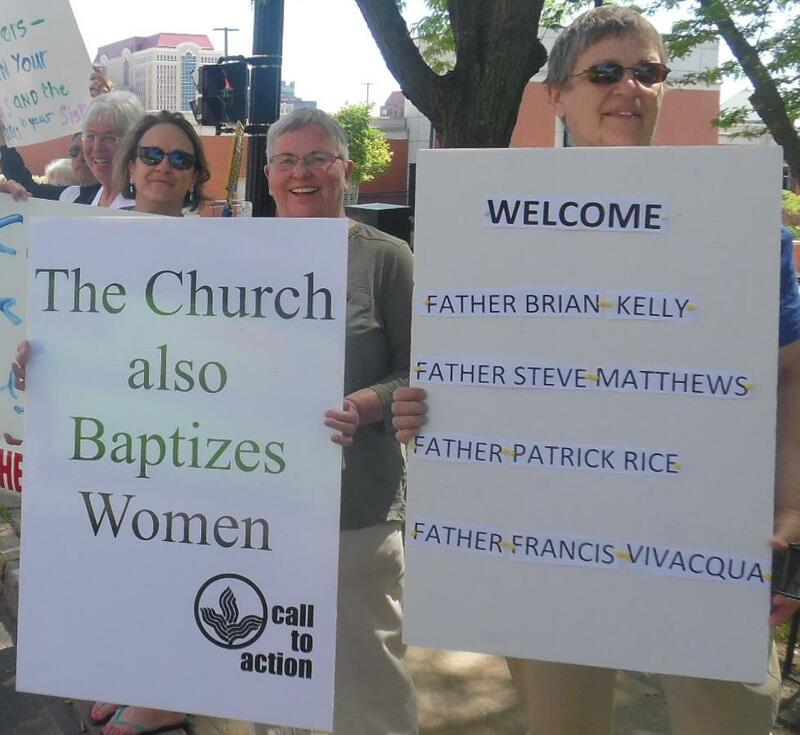 Call to Action -Capital District, a progressive Roman Catholic community that educates, inspires and activates Catholics to act for justice and build inclusive communities, will hold a witness for Women’s Ordination on Saturday, June 18th at 10AM across from the Cathedral of the Immaculate Conception, corner of Madison and Eagle Street, Albany. This witness is before the 11AM ordination service at the Cathedral for four priests by the Roman Catholic Diocese. 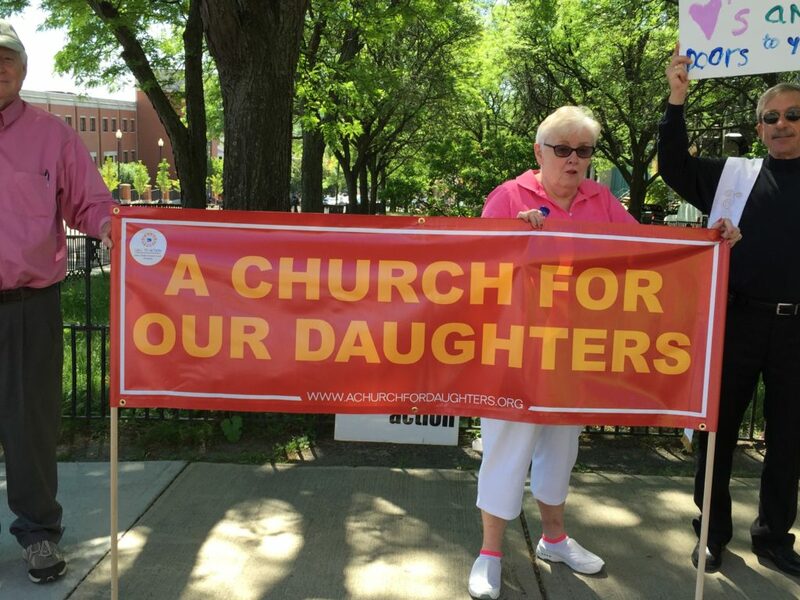 Catholic men and women join to ask the Diocese of Albany to build “A Church for Our Daughters”. 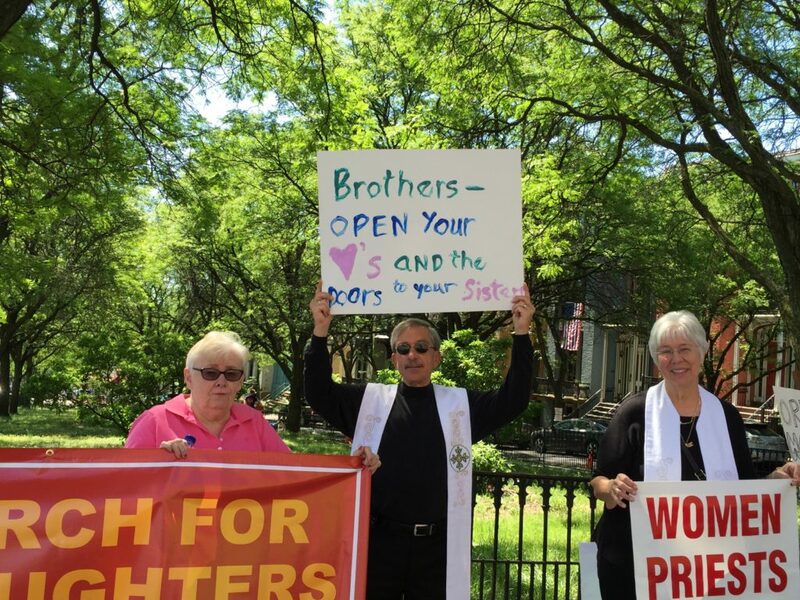 The witness is a prophetic call for the Catholic Church to fully recognize the gifts of women in the Church and reverse the refusal of the Church to recognize the movement of the Holy Spirit in leading both men and women to priestly ordination. This refusal has contributed to the sharp increase in the number of young Catholic women who have recently left the Church. 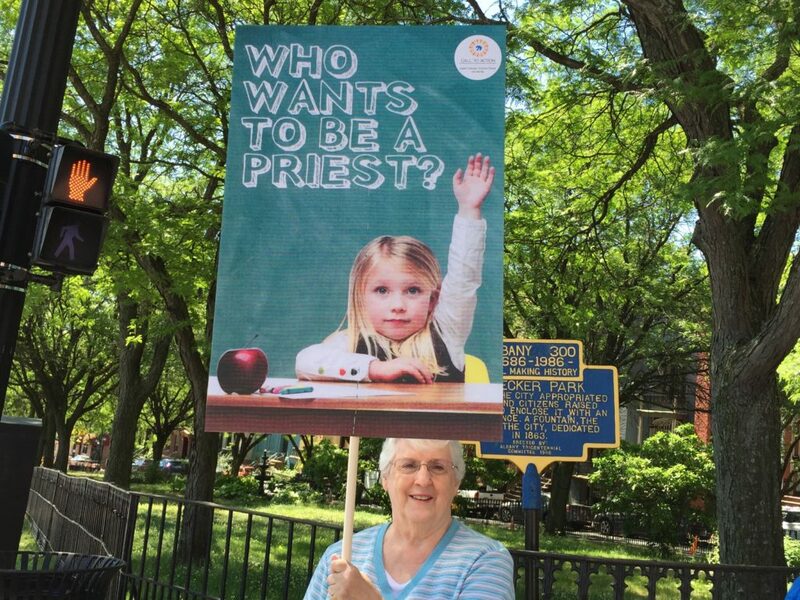 In light of Pope Francis’ recent call to study whether women could be ordained as deacons, we call on the Albany Diocese to open up a dialogue with laity and clergy to discuss women’s roles in the Church including priestly ordination. This is consistent with the spirit of Pope Francis’ papacy of opening up the Church and the Vatican II ecumenical council which envisioned the Church as the People of God. 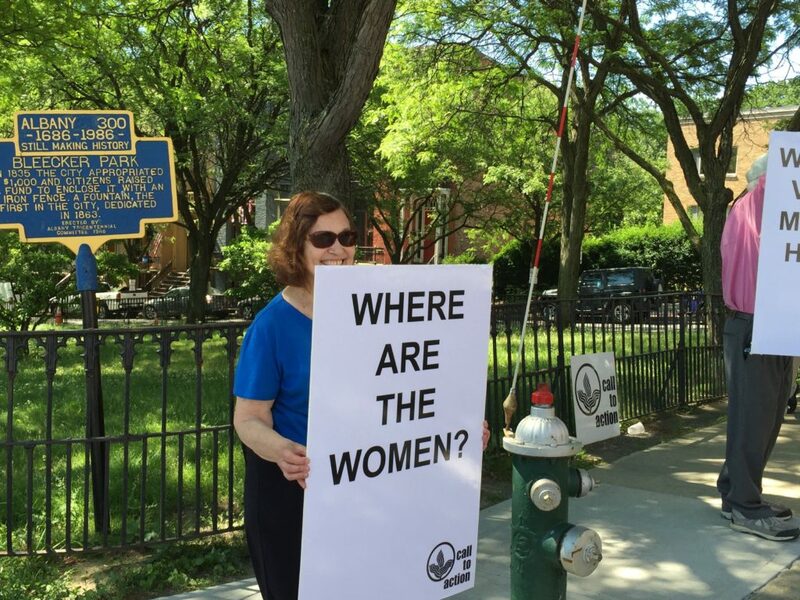 What: A respectful witness with signs to bring attention locally to the need for our Church to open its doors to women as equals. Bring signs, help us to hold up our banners. When: On Ordination Day, June 18, 2016 from 10:00am to 11:00am. Where: On the sidewalk opposite the front doors of the Cathedral of the Immaculate Conception at the corner of Eagle St. and Madison Ave. in Downtown Albany. 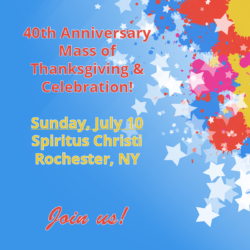 FOR MORE INFORMATION: CONTACT DAVID ROWELL AT (518) 729-4550 OR DAVEROWELL52@GMAIL.COM. 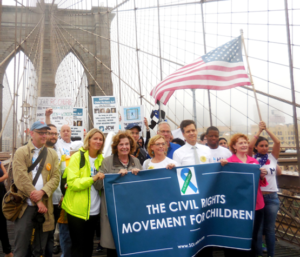 Thank you to all the brave survivors and advocates who joined us on Sunday to take part in the â€œWalk for the Windowâ€ across the Brooklyn Bridge and our rally on the Manhattan side at Pace University. They carried signs and banners that proclaimed their support for our law to eliminate the statute of limitations for child sexual abuse crimes and provide a civil window so that adult survivors can get justice and help expose predators that have been hidden by institutions that donâ€™t want to take accountability for their actions. With New York State ranking at the very bottom of all states in America for how it treats victims of childhood sexual abuse, this is the year to change that abysmal status. My sincere thanks to all those who continue to speak out on behalf of survivors and future generations of children. Your voices and strong support gives me real hope that the Legislature will, at long last, act to bring justice to survivors in 2016 and help protect future generations of children.